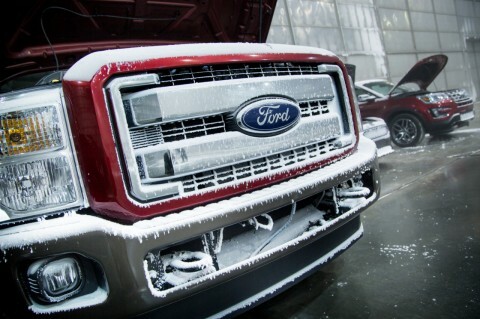 Ford vehicles of all sizes – from Focus to F-Series Super Duty – annually submit to subzero testing in the U.S. military’s all-weather laboratory designed to re-create nearly every weather condition on earth. Each year, Ford brings global prototype vehicles and a team of engineers to the world’s largest climatic test facility – McKinley Climatic Laboratory at Eglin Air Force Base in the Florida panhandle – to push the limits of extreme cold-weather testing in order to improve vehicle quality and performance for customers. 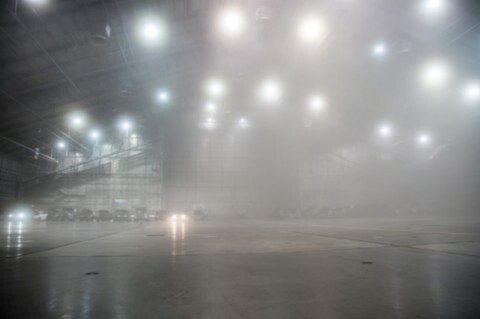 In this sophisticated, all-weather facility used by the U.S. Air Force to test every aircraft in the Department of Defense inventory , Ford engineers can get temperatures down as low as minus 40 degrees Fahrenheit in a span of just 10 hours. The hot, humid climate of northwest Florida in August has no impact on conditions inside the lab – making it ideal for simulating winter in Alaska’s Prudhoe Bay or Canada’s Yellowknife region. 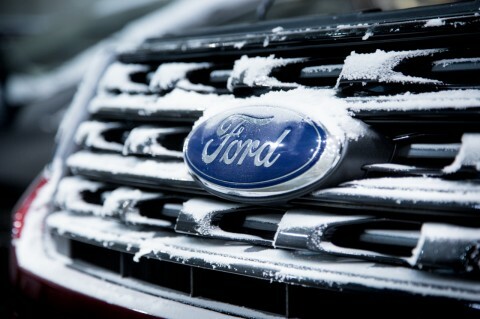 So when it’s the middle of a development cycle, or the middle of summer, and there’s no access to a natural environment where engineers can evaluate whether a vehicle is starting as robustly as it should in below-freezing temperatures, McKinley Climatic Lab allows Ford to simulate, calibrate and validate – all under one roof. The opportunity to accommodate 75 global prototype vehicles of all sizes for rigorous testing – plus house a versatile team of 54 engineers and technical experts – creates efficiency in the company’s product development cycle that helps Ford learn in just three weeks what could take twice as long in a smaller facility. Collecting multiple data sets, analyzing results, and comparing and contrasting enables Ford engineers to quickly implement changes that enhance vehicle quality and ultimately benefit the customer. When running tests at such low temperatures inside McKinley Climatic Lab, engineers make changes daily to help ensure engine start and vehicle driveability, and that Ford is meeting the high quality standards its customers expect. Learnings from these cold-weather tests helped Ford engineers perfect the 6.7-liter engine that powers the current F-Series Super Duty. Engineers found that replacing metallic plugs with ceramic gold plugs enabled the engine to heat up more quickly, for a more robust start.